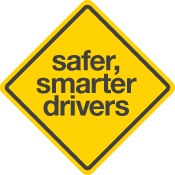 The information contained within this publication has been prepared to help you become better informed about the provisions of the driver licensing system. It should not be taken as a precise interpretation of the law. It does not set out to be complete or a substitute for the legislation made by Parliament. Department for Planning, Transport and Infrastructure. This work is licensed under a Creative Commons Attribution 3.0 Australia Licence. A summary of the licence terms is available from http://creativecommons.org/licenses/by/3.0/au/deed.en.